Meizu Pro 5 Photos And Specs Leaked! Runs On Stock Android OS? 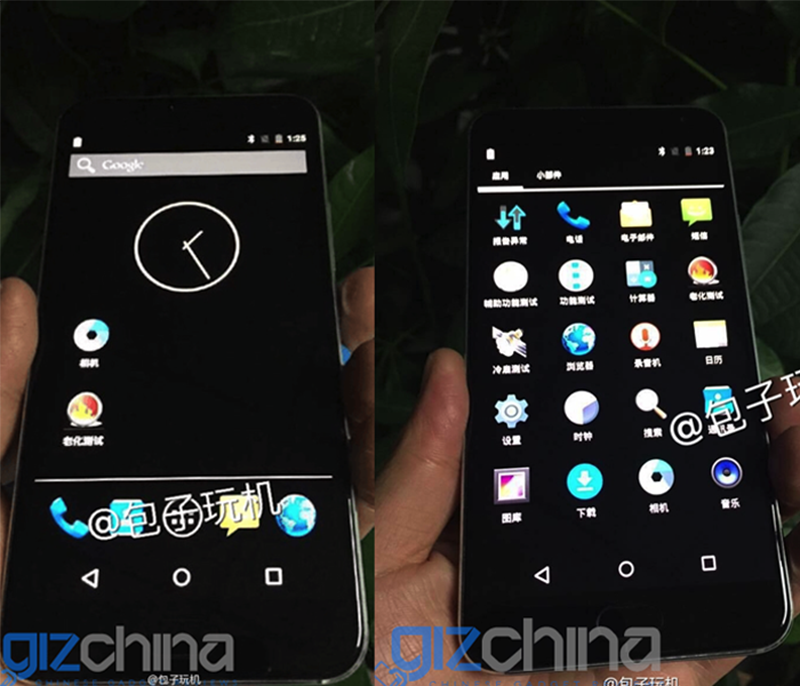 Home / leaks / meizu / mobile / Meizu Pro 5 Photos And Specs Leaked! Runs On Stock Android OS? As the announcement of the Meizu Pro 5 is fast approaching, several photo and specs leaks provided by GizChina is already circling around the net. The Meizu Pro 5 is alleged to be a real monster in terms of computing performance as some claim that its beating the upcoming Samsung Galaxy S7 in benchmarks. The Meizu Pro 5 will come in a full metal body, 5.5 inch full HD screen with 1920 x 1080 resolution, 3/4 GB RAM, 32 GB internal storage and 21 MP rear camera shooter. They're saying that the Meizu Pro 5 will come in two variants, the Exynos 7420 powered one and the MediaTek Helio X20 deca core infused one. The best part of if for Android purist is the OS. Based on the leaked photos it appears to be running on vanilla stock Android 5.1 instead of the regular FlyMe OS usually found in Meizu handsets. Given those rumored specs, this phone is shaping up to be a true monster that we should all watch out. It will be unveiled this September 25 2015 with a ballpark figure of CNY 3000 which is roughly around 21,904.03 Pesos out of straight conversion.